I saw this idea on twitter and I thought it would be fun to do. So here is my Movie Burger! I have been a fan of the "Thin Man" series for many years. I find them immensely entertaining. 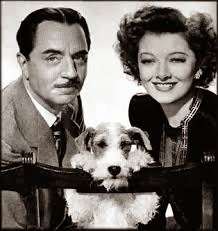 Nick and Nora Charles are 2 of my favorite fictional characters, and William Powell/Myrna Loy had tremendous chemistry. Plus, Asta. 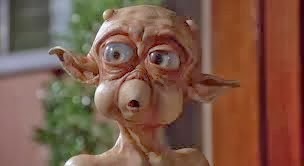 One of the funniest dogs in cinema. 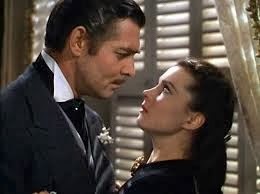 "Gone With the Wind" was the first movie that popped into my head. I first saw it as a teenager when it was re-released in the movie theaters. My mom thought I was crazy to want to see a 4 hour movie, but I felt that I must see it. I ended up loving it. I became invested in the lives of the characters. 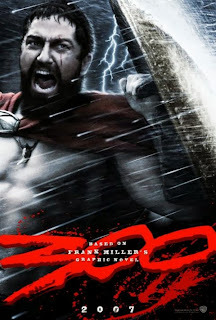 It is a long movie but it captivated me all way through it. The scene with Melanie and Rhett when his daughter died moved me so much. The tears in his eyes. The comfort he received from her. Then on her deathbed, Melanie opening Scarlett's eyes and telling her to be kind to Rhett, because he loved her so much. I think everyone should see it at least once. Earlier this year I was introduced to the works of Harold Lloyd. Suffice it to say, I became a big fan. So for a short film, I chose "Haunted Spooks." Harold Lloyd's character, The Boy, marries a woman known as The Girl so she can inherit her Uncle's house. However there are other people who want the house, so they pretend to be ghosts to scare away Boy and Girl. Very funny short film. I recommend any of his work. Including feature length films such as "Safety Last," which is probably his most famous work. 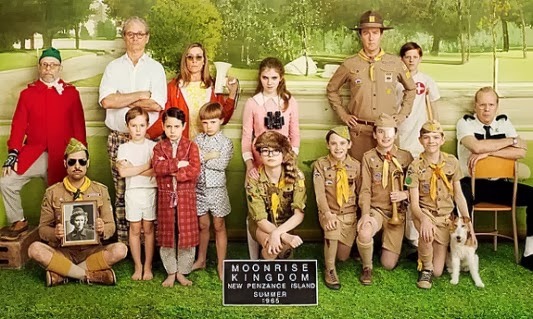 I love tomatoes and I love "Moonrise Kingdom." 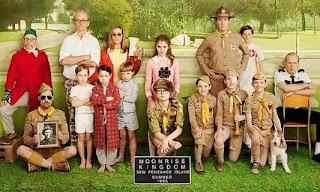 A quirky Wes Anderson film that made me nostalgic for my childhood even though I never had any experiences like in the movie. It was a funny movie and I loved the characters. The actors especially the children did a great job. You find yourself hoping that Sam and Suzy remain together forever even though they are only kids. It was one of the best movies I saw in 2012. I did not expect to enjoy this movie, and yet, I ended up seeing it twice in the movies. It pumps you up. You almost feel the need to go to war after seeing this movie. It was entertaining. Nothing more I can really say about it, haha. It may seem like it is cheating to use the Thin Man series twice, but I think it is fitting that it is the top and bottom of my burger. I do love this film series. 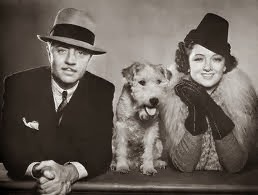 I hate that there are no more Nick and Nora Charles as played by William Powell and Myrna Loy. This was a fine series. So this concludes my Movie Burger. Hope you enjoyed. Great post, Amy. And an interesting form to present movies. Of these I only saw the first Thin Man movie (the bottom half of the bun) and the burger patty, "Gone With the Wind". But you got me interested on the Wes Anderson movie. I didn't know it. I'm going to check that out. 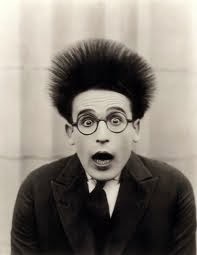 I love the Harold Lloyd picture you chose.